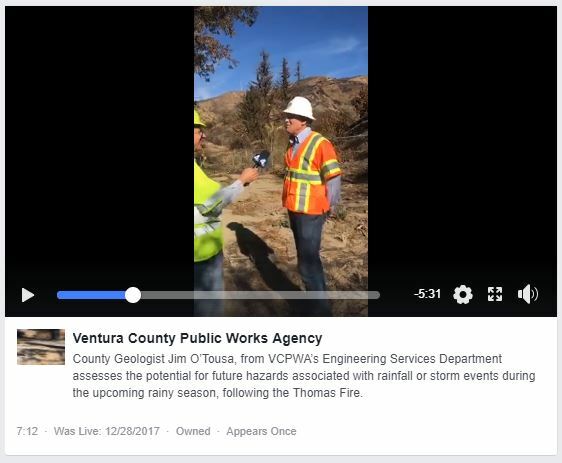 An aftereffect of the recent Thomas Fire, surrounding hills and landscape in Ventura County are vulnerable to mudslides and debris flows. 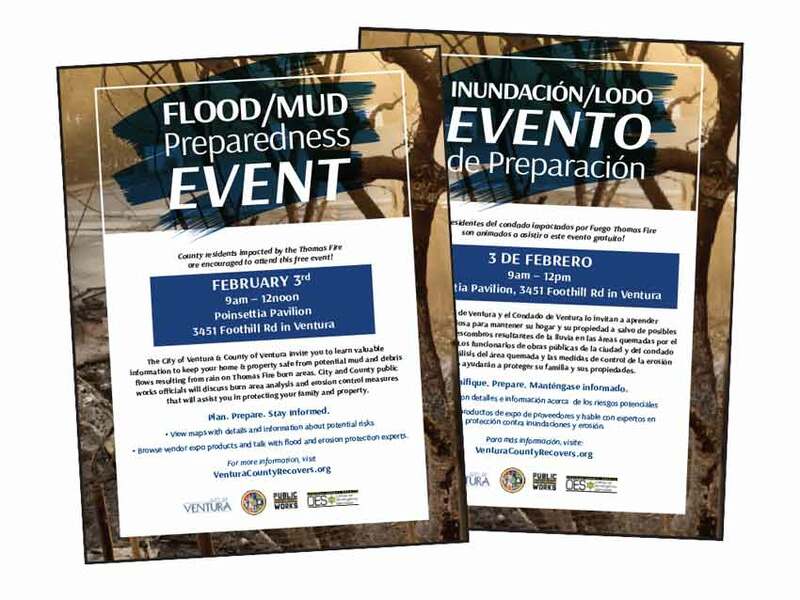 VCPWA and local officials needed to quickly inform and educate community members how to protect themselves and their property and be aware of flood dangers near all streams, hillsides, barrancas, etc. Consortium Media created a multi-pronged public relations and outreach campaign including PR, social media, e-mails and traditional radio and print to activate the community awareness in a short time span. The public awareness campaign surrounded the Flood/Mud Event and Expo where Public safety officials, law enforcement, OES and geological and hydrology experts discussed possible impacts to our area from heavy rainfall, and how to prepare, plan and stay informed.